So I ate a super delicious lunch this afternoon and I am so excited to share it with you all! 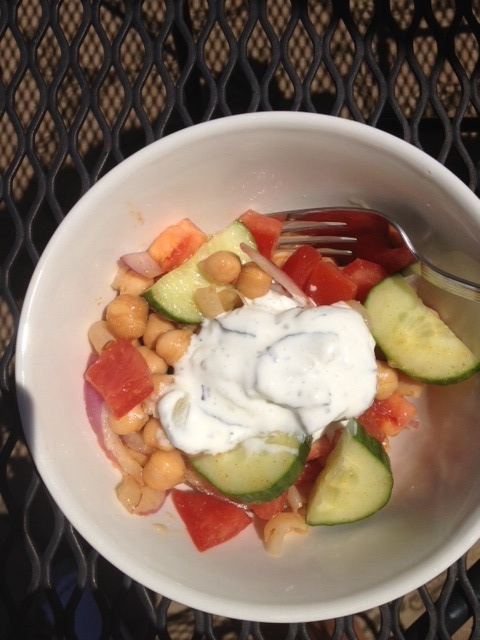 I don’t have an official name for it..but I guess I’ll call it “Curried Chickpea, Tomato, and Cucumber Salad.” I love Indian food ( I’m half Indian) and this salad is a quick and easy way to get the indian food flavor without the effort. 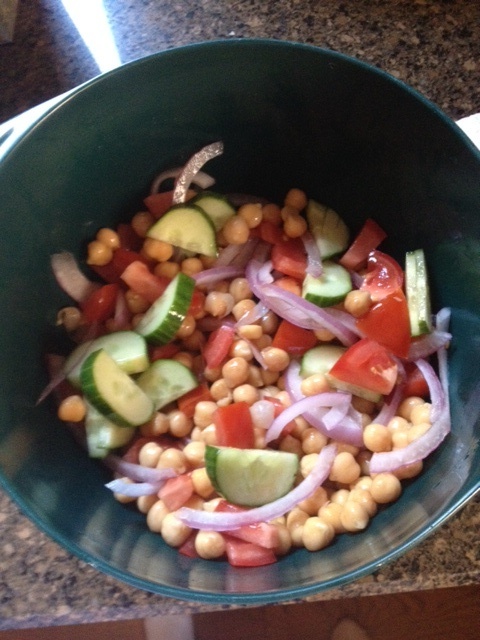 In a container mix olive oil, lemon, curry powder, and cumin. Top off the dish with 2-3 tbs of yogurt. Tonight I am heading out for a 4 mile run with a great friend! Although I am feeling tired, I’m looking forward to catching up with her own our old cross country practice stomping grounds! Have a wonderful Wednesday loves!